Hair Salon Columbia Md / Vivid Salon Columbia Md – Summer Hair Care Tips | Best Salon and Spa in Columbia MD! Use a sulfate-free shampoo. Because you tend to wash your hair more in hot weather, the heavy detergents in most shampoos can dry out your strands. Check out our sulfate-free line for a much gentler option. Tame frizz. Hot weather means frizz. 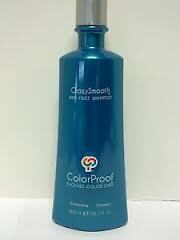 Tame it with an anti-frizz product like Color Proof Crazy smooth. A little goes a long way for smooth, shiny hair. ← Vivid Salon Columbia / channel Your Inner Rapunzel!